COUNTRY LOG CABIN: WHAT? A NEW PROJECT? Oh, yes! 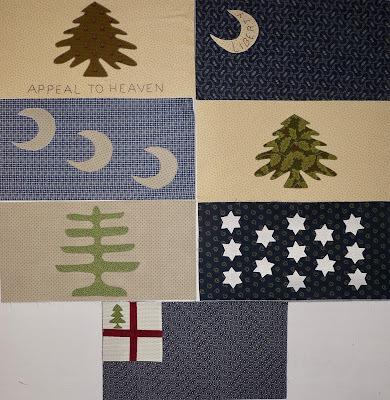 Lori of Humble Quilts had a QAL (quilt a long) with this quilt last year - or was it the year before? - and I bought the book, but had other projects to work on so I didn't participate then. 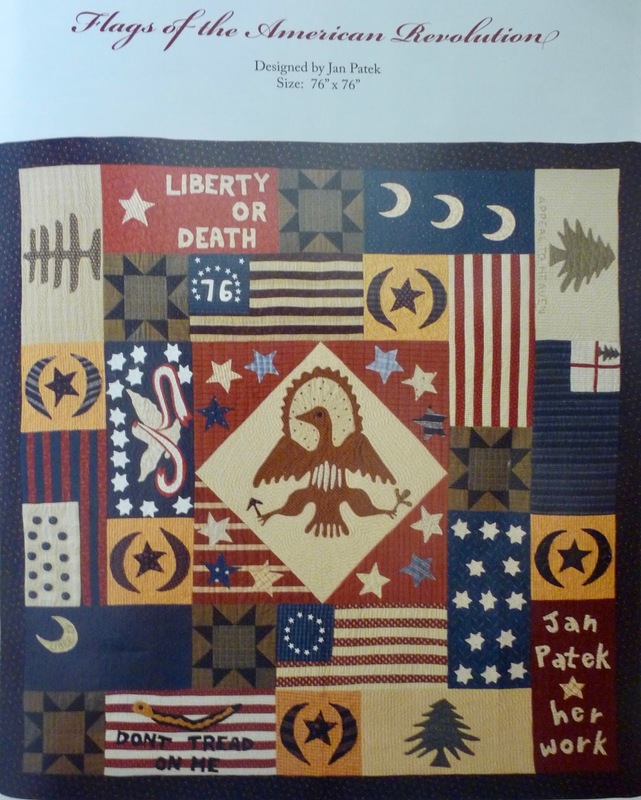 So, last month, I started looking at this pattern again, and besides the eagle in the middle, it looked pretty easy - and I'm all about easy. This is the whole quilt. So, I thought I would get started with some of the easiest blocks. Before I knew it, I had 12 blocks finished!! All from my stash. Of course, I'm machine appliquéing them, so that makes it a lot faster too. So, what will I do when I get all the blocks finished except the middle one? There's that eagle. And he's a rather strange looking one at that! My next post is my 700th!!! I think I'll have a give-a-way to celebrate! So be sure to check back in a few days. It is a great quilt. You are buzzing through those blocks! 700 posts? Wow. That is worth celebrating! I watched as Lori did this quilt and I love it, except maybe for the eagle, it is rather funny looking. 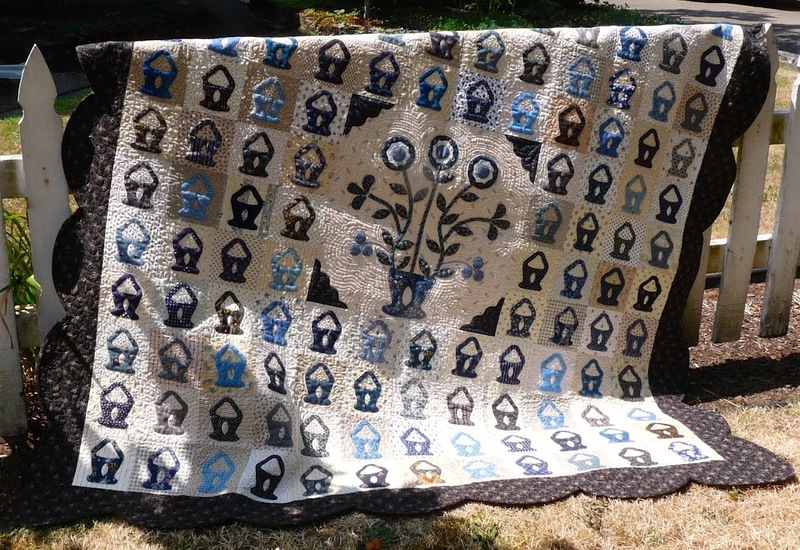 I'll keep watching to see what your finished quilt looks like! 700 posts, that's amazing. Keep posting, I love hearing what you are doing. Look at you go! Twelve blocks already - so much fun to find a project you can get into so quickly, and rewarding to see the finished blocks add up. Enjoy! I made the quilt top (and it is still just a top) along with Lori. The eagle block is the hardest one to do. The rest will fly by. Nice job! 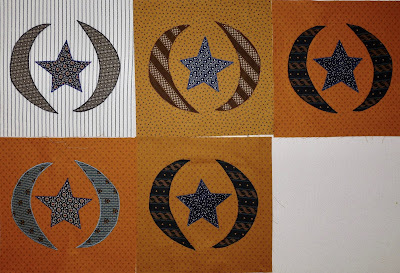 I love my quilt, but I will say I ordered the "button stars" from Jan Patek and they make it too uncomfortable to be on top of the quilt (sharp edges)! Regular buttons would be better. 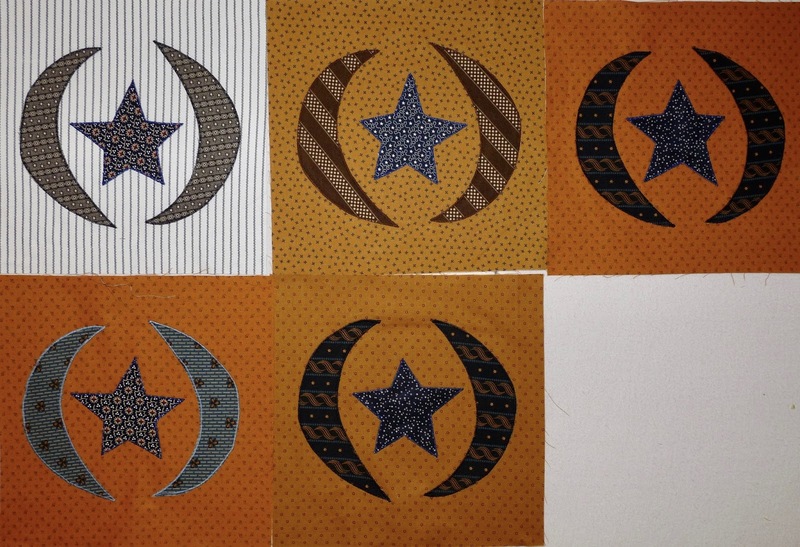 It's such a fun quilt to make. I think most of us kept the original eagle... for better or for worse! 700 posts - that's amazing! Congratulations! I don't know how you do all you do! Your blocks are looking good, and no doubt the completed project will too. As for your 700th post, I think I've read most of them; and that's been going on a long time! I try not to miss a one! ---"Love"
That's definitely a quilt for you Ruth. 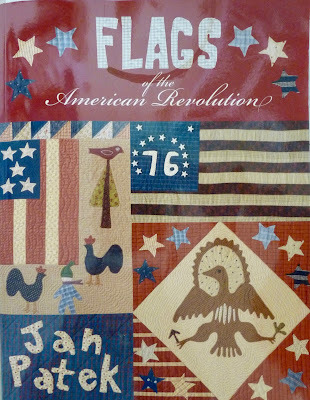 A real folk art piece and isn't it terrific how quickly the blocks came together. Wow - looks really great. Your fabric choices are wonderful.